What is the effect of having the book structured as it is? Why do you think Kelly's childhood is presented as flashbacks rather than chronologically? In what ways does her childhood affect her adult self? What role does religion play in the Corrigan family? How do you think Kelly feels about her parents' faith? About her own? What sorts of things does Kelly believe in? How do you think Kelly feels about her mother? What does she seem to want from her and what does she actually get from her? What events cause her to see her mother differently over time? How do Kelly's parents help her to feel secure and protected as a child? How does that continue or fade in her adult life? Which of her parents does she emulate in her own role as a parent? How does Kelly's breast cancer diagnosis prepare her for her father's cancer? Does her own experience help her to help her father, or does it hinder her ability to cope? Given her attachment to her family, why do you think Kelly moves so far away from home at the age of twenty-five? Do you think families need to live physically close to one another to remain emotionally close? Why or why not? Kelly plays the role of both patient and caretaker. How does being a patient change her? How does being a caretaker change her? Do you think having an illness matures Kelly? Does caring for her father? Why do you think it is important for Kelly to travel in Australia and Nepal? What need does the act of traveling fill for her? How does Kelly change when she becomes a parent? In what ways does she choose the family she's created over the one that created her? Do you think is a common occurrence as we mature into adulthood? Discuss. Do people need crisis—like the illness or death of a parent—to become full-fledged adults? Is it possible to outgrow childhood without losing a parent? In what ways do our parents keep us in the "child" role? How does Kelly learn to be sick? How much help do you think she should have accepted from others, and how much should she explain and share with those trying to help? What are the benefits she finds from letting people be involved? How do Kelly's attitudes about sickness differ from her father's? Kelly's family is her safety net. She turns to them when she's in trouble and they run to help. What are the safety nets in your life? What are the mainstays in your life that you can't imagine living without? 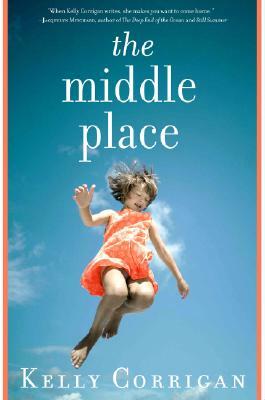 What is "The Middle Place"? Why is this the title of this book? What does being in The Middle Place mean to Kelly? What does it mean to you?